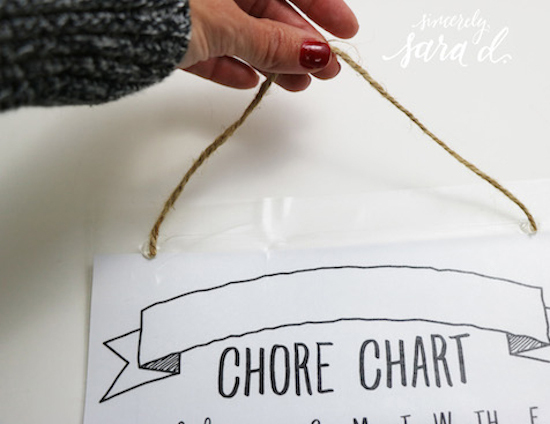 DIY Printable Chore Chart - Sincerely, Sara D.
It is time for all of us to follow through with those New Year’s resolutions we made just a few weeks ago. Now that my kids are getting older (10, 8 and 4), I made a resolution to have them help with cleaning the house. 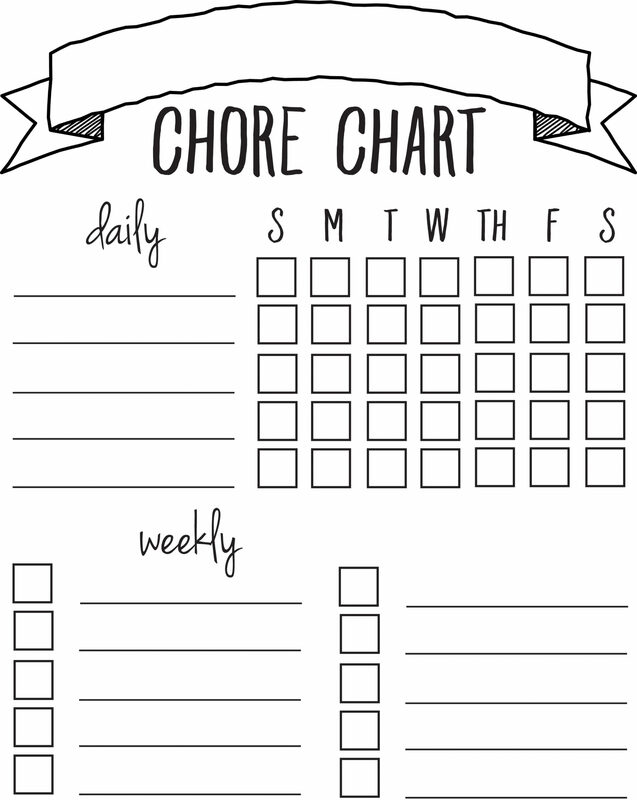 And to make sure I actually follow through this year, I created a chore chart. 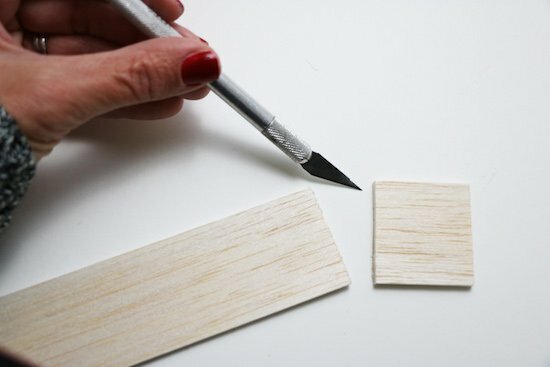 Balsa Wood (or thin pieces of wood) *I found my balsa wood in a pack at Hobby Lobby. 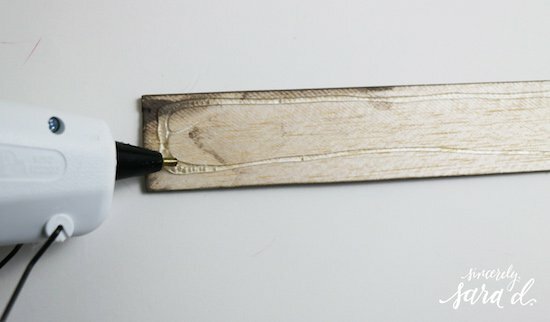 Measure and cut your wood. I made mine slightly larger than the 8.5 inch printout. 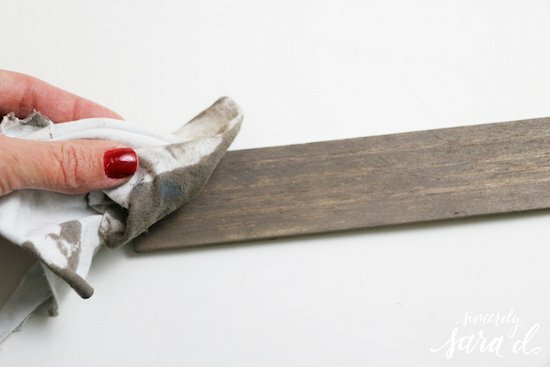 Next, I stained my piece of wood. 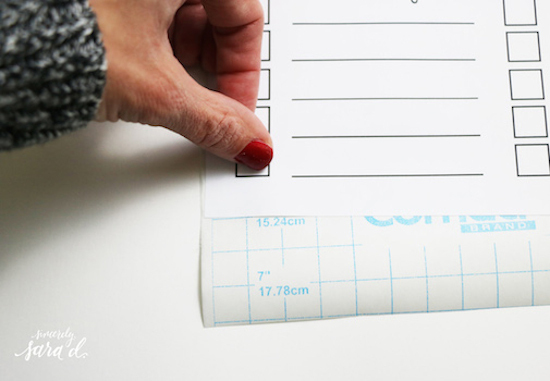 I measured and cut my contact paper allowing an inch or two to hang off the top and bottom. This extra material is where you will attach the wood frame. 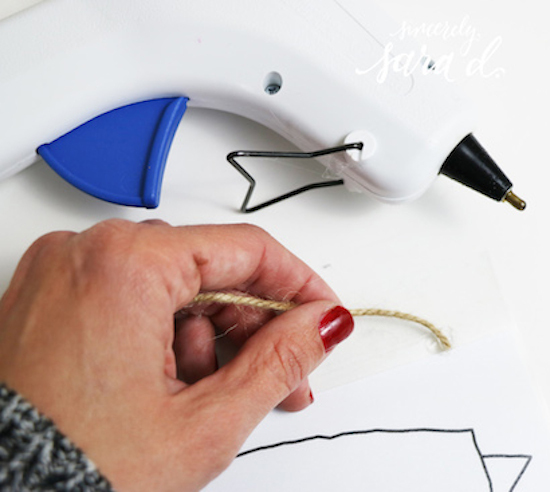 I glued the twine to the extra contact paper. 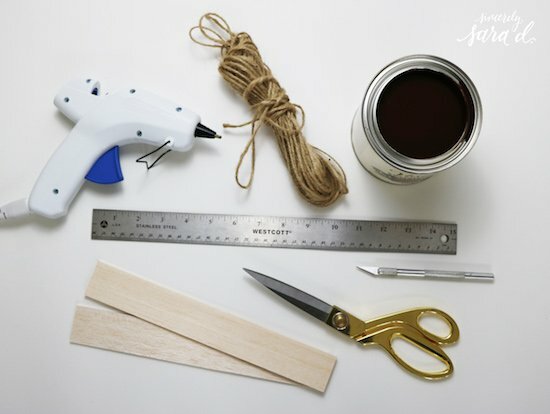 Then, I added glue to the balsa wood and attached it to the chore chart on the extra contact paper – covering where I attached the twine. Add a piece to the bottom, and you’re done! 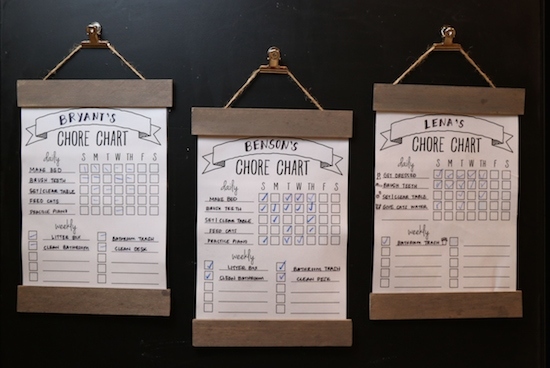 I used permanent marker for my kids’ names and chores. 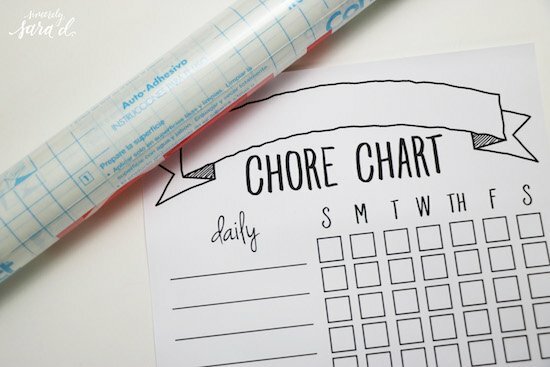 The kids use a dry-erase marker to mark their chores. 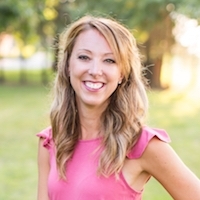 Go get those kids to work! Lindsey! This is a GREAT tip! I’ll have to test out these Vis-a-Vis markers. Thanks so much! 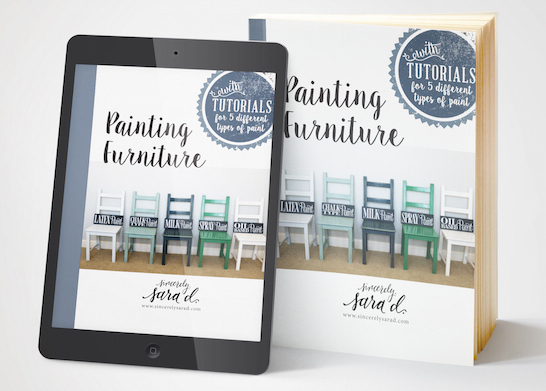 Thanks so much for this printable! 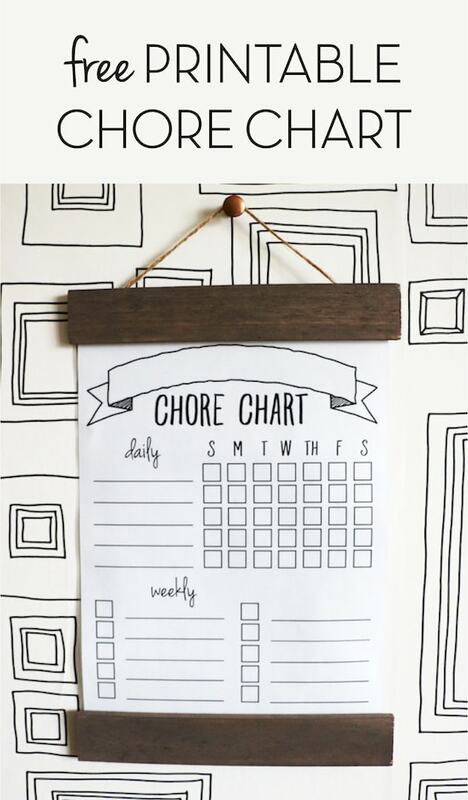 I just love the design and just made one for both of my kids to use to help out around the house a little more. I’m so glad it was helpful for you, Bethany! Thanks for letting me know. 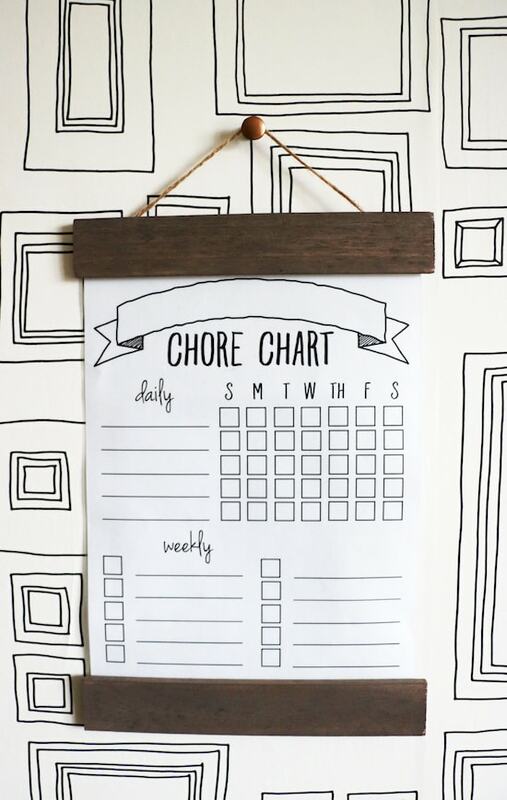 This is a great chore chart! I love the clean look. Thank you for sharing it! I hope you’re not still lamenting your lack of a laminator. 😉 Sorry… I’m sure it was autocorrect, but your paragraph about laminating the chart says that you lamented it. 🙂 That gave me a chuckle. Hi there. Just wondering if this printable comes in an editable version. This one is my favorite of all I’ve seen but I want to be able to type into it. Where did you get the clips to hang them from? I made them! The details are in the post. Hello! 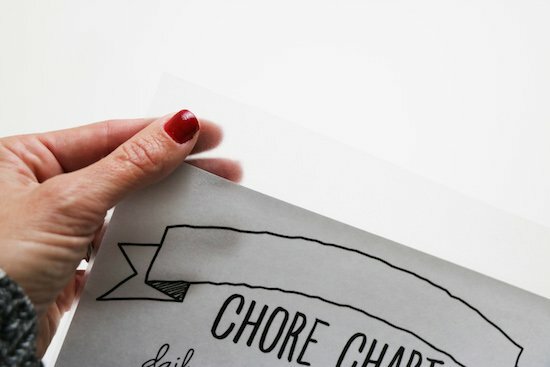 I am adding kids name and chores inPSE and I would like font to match. Can you please tell me what font your used? Caferus Slim Regular and Jenna Sue!